One of the single best things you can do for your body, strength training builds strong bones and muscles, keeps your metabolism humming, prevents injury, and makes you look awesome in a pair of jeans. But strength training is a pretty complicated concept, and if not executed properly, can compromise your results or even cause injury. There are three major types of strength training equipment: isolation machines, free weights, and cable machines. Isolation machines are great for beginners and for lifting as much weight as possible, as they isolate one muscle group at a time and keep you in proper form. This allows you to safely overload your muscles, minimizing your risk of injury. Free weights put you in charge of keeping proper form, forcing your muscle groups to work together, like they do in everyday life, to complete the exercises. With free weights, because you are stabilizing your own muscles, you will develop a stronger core. Cable machines split the difference, providing resistance in both directions and using multiple muscle groups, but in a more controlled environment than free weights alone. All fitness equipment serves a purpose, and while no choice is wrong, using the right equipment for your goals and getting some variety in your routine will ramp up your results and prevent strength plateaus. The goal of strength training is to provide enough resistance for your muscles to work against to create change. You won’t get toned or ripped without the challenge. How do you know how much resistance is enough? The goal is to work your muscles just to, if not past, the point of failure, which means that your last rep should be the last one you can do with good form before you have to recruit other muscle groups to help you out and stabilize you. If the last rep feels or looks the same as the first, add more weight. Some people have the opposite problem and lift too much. Lifting a weight isn't as important as lifting a weight properly. Just because you can put up 300 on the bench doesn't mean that's what you should be benching. You can go through the motions of any exercise, but if your form isn't right, you might not be working the muscles you think you are, and you definitely wouldn't be working any of them safely. All of your muscles are designed to support and move joints. Joints work in at least two directions, therefore they need one muscle to open the joint and one muscle to close it--these are opposing muscle groups. To build even strength and size, you need to work opposing muscle groups evenly. All major muscle opposing muscle groups (bis/tris, chest/back, quads/hammies, etc.) should be worked a minimum of two times per week. Everyone has that exercise they avoid like a plague, but if you hate it, it's probably because you need it. Your body seeks comfort and doesn't like to do things that are the most challenging for it. Tell your body to shut up and do it anyway! You’ll thank yourself later. Need more inspiration and direction? 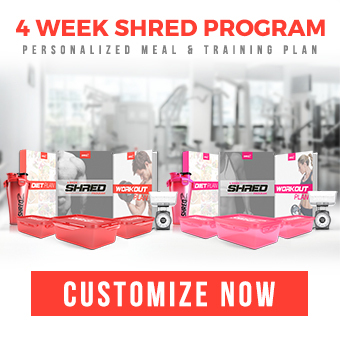 Work with a certified fitness and nutrition coach to get a customized meal plan and workout plan. 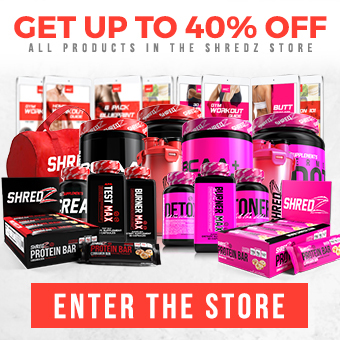 And of course, SHREDZ Fit Club, with dozens of athlete-led instructional and inspirational workout videos, is and always will be 100% free and accessible from any computer or mobile device.